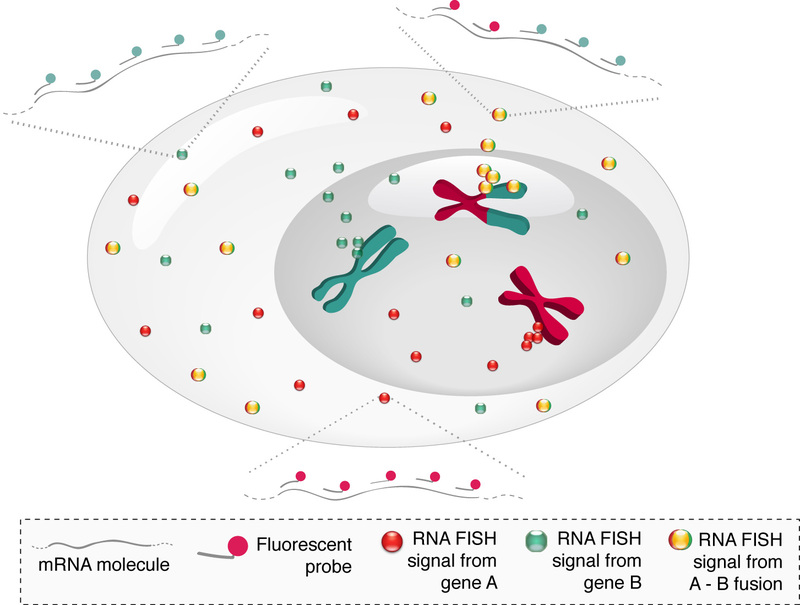 A gene fusion originating from a translocation (red-green chromosome) produces fusion transcripts (yellow dots) that are detected as colocalized fluorescent spots by probe sets consisting of differently labeled oligos targeting each fusion partner (zoom-in). Perform Particle Image Cross-Correlation Spectroscopy (PICCS) to the fraction of fused transcripts. 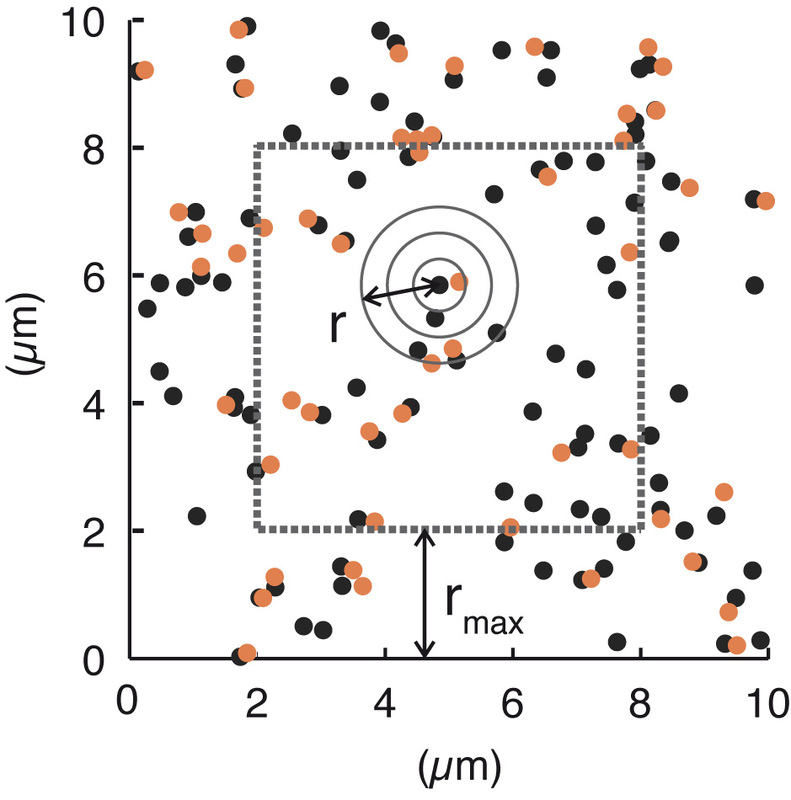 Construct a cumulative correlation function CCum(r) by counting the average number of orange signals neighboring a black signal depending on the distance r of separation. 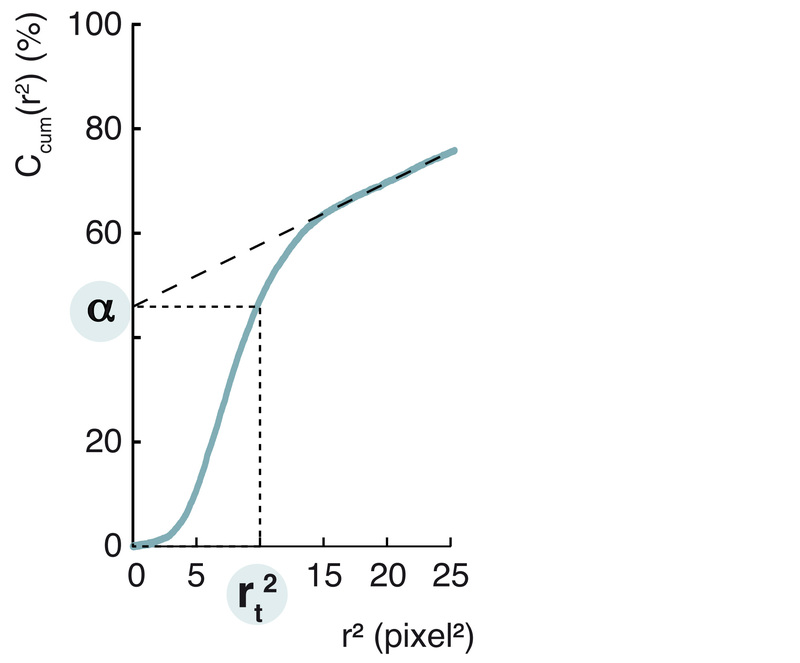 Linear fitting of CCum(r) versus r2 at distances exceeding the typical correlation length gives the correlation fraction α as the offset of the fitted line. *Single-molecule FISH products are sold by Biosearch Technologies Inc. under exclusive licenses, and may be used for research purposes only.